The Radenci Health Resort has always been known as an excellent starting point for training camps as it offers a comprehensive sports infrastructure inn addition to numerous options for relaxation and fastest possible regeneration after intensive physical activity. Owing to its broad selection of medical services, it is an optimum choice for rehabilitation after sports injuries or surgical procedures. As one of the rare true health resort towns, Radenci boasts as many as four natural healing factors: natural mineral water, thermal water, healing mud (peloid) and beneficial climate with 250 sunny days per year. Choose a sports gathering focusing on health, optimism and well-being, and toast to it with a glass of the Radenci mineral water you can take directly from the spring. In addition to indoor and outdoor thermal pools, the resort offers numerous other sports capacities - tennis, volleyball, handball, basketball and footsal courts as well as fitness. Why choose Zdravilišče Radenci for sports preparation? A good rest is essential for achieving top sports results. You can choose from a wide range of top accommodation in comfortable hotels of the highest categories, where single and twin rooms are also available. The first-rate hotel restaurants offer sports menus for every meal, where athletes can choose from carefully planned dishes to get all the right nutrients after intensive training. The menu can be tailored to the specific needs of your athletes. Natural mineral water effectively quenches thirst and hydrates the organism, replenishes the minerals lost during physical activity and reinvigorates the body and spirit. The Radenci mineral baths stimulate blood circulation, regulate the blood pressure, lower the heart rate and have a reinvigorating effect. THERMAL CENTRE – SMALL SWIMMING POOL (in the resort centre) Indoor swimming pool (25 x 25 m). 5 lanes, removable starting blocks. RADENCI TENNIS CENTRE (in the Zdravilišče Radenci courtyard) Hall: 3 courts with a carpet/granulated surface. SPORTS HALL (500 m from Zdravilišče Radenci) Size: 1,450 m2 indoors. 1 main handball court (40 x 20 m). 1 main basketball court (28 x 15 m). 2 separate basketball courts (26 x 15 m). 1 volleyball court (18 x 9 m) or divided into two sections (2 courts). 1 futsal pitch (40 x 20 m). 12 table tennis tables (total size: 42 x 28 m). HOTEL RADIN (a cyclist friendly hotel with 4 marks of quality) The organisation of cycling tours. HOTEL RADIN (a hiker friendly hotel with 3 marks of quality) Nordic walking poles available to rent. HOTEL RADIN (special hospitality for runners) The setting of the traditional Three Hearts Marathon. Varied running trails in natural surroundings. Heart's Trail in the resort park (1.4 km). SLATINA SPORTS CENTRE (700 m from Zdravilišče Radenci) 1 main pitch 102 x 67 m (natural grass). 1 auxiliary pitch 90 x 50 m (natural grass). 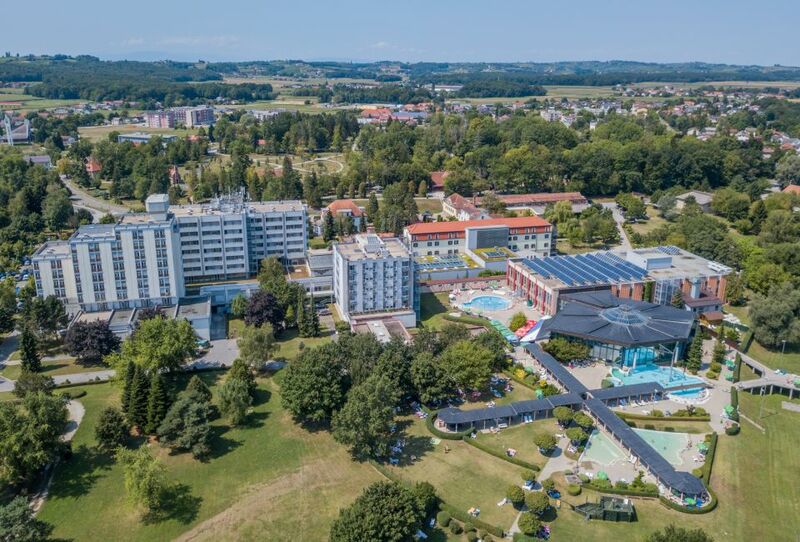 Modern hotel surrounded by the greenery of the health resort park and the Radenci plains that is highly suitable for athletes as more than half of the ... accommodation units feature single rooms with queen-sized beds. Pleasant and modern hotel with heaps of genuine hospitality that makes for a pleasant and modern haven for rest after a hard day's work. 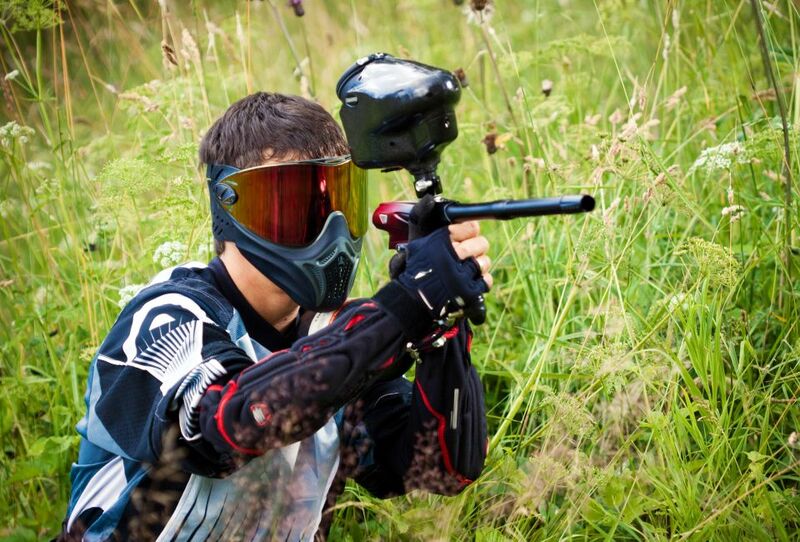 The sports preparation or event can be tailored to your specific needs. Share your requirements with our representative and we will put together an offer to suit the demands of your particular sport.